Aneudy was born and raised in Providence Rhode Island. He has taught art afterschool to middle school students from Paul Cuffee and Highlander Charter Schools. He served as a CityYear Senior Corps Member from 2009-2010 and also served as an AmeriCorps EDTAP (Expanded Day Teaching Artist Project) Teaching Artist at Providence City Arts in 2010-2011. He has been an active member of New Urban Arts for close to a decade. 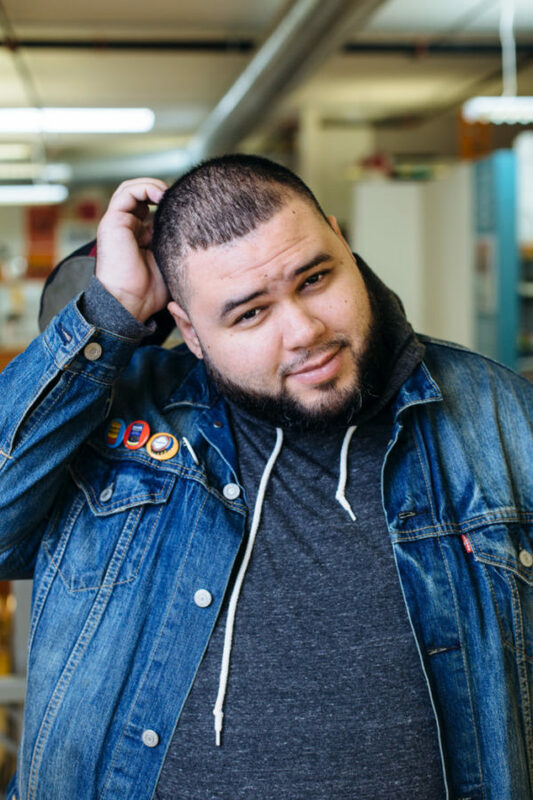 He began as a high school student, and in 2006 as an alum became a member of the Student Recruitment Team and served on the pilot year of New Urban Arts youth leadership council, the Studio Team Advisory Board, which he Chaired the following year in 2008-2009. This is his 5th year as an artist mentor.